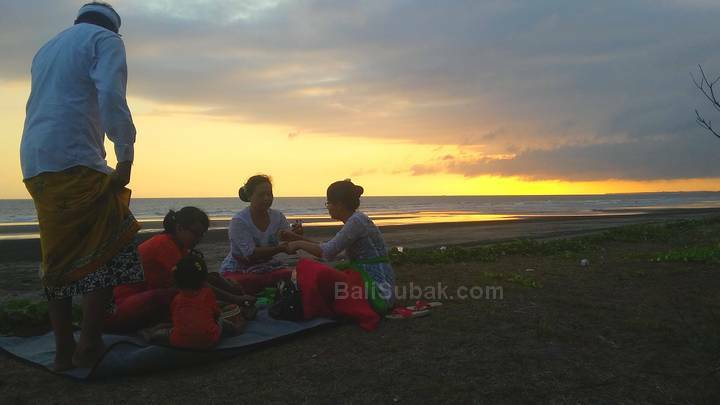 A Balinese family sitting on the beach at dusk. They sat together after praying at a temple. With the provision brought, opened to eat together. 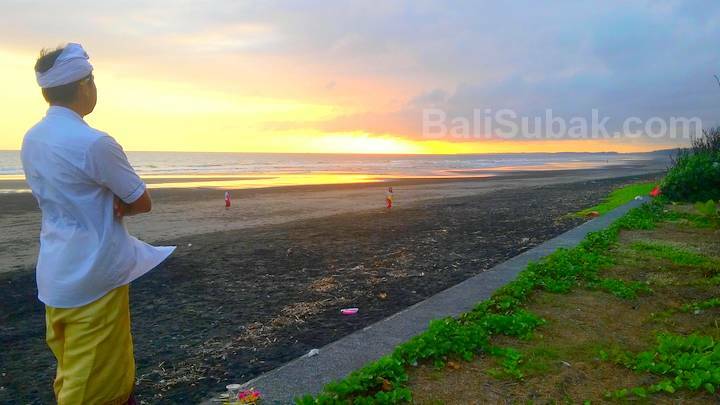 Accompanied by sunset in Bali, with a twilight atmosphere very quiet, comfortable, and with fresh air. 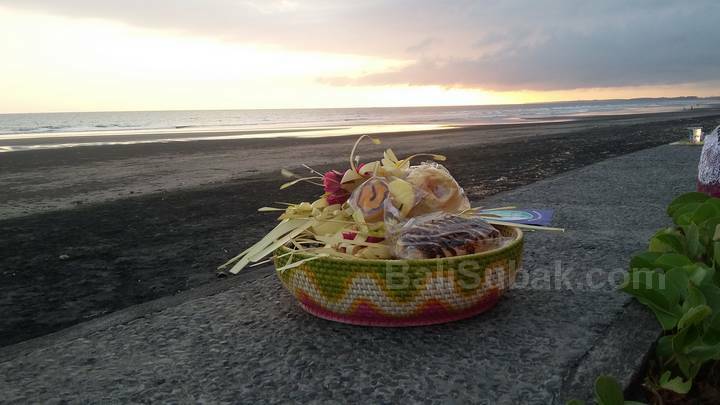 Habits of the Balinese to pray while recreation is a very enjoyable activity. Pray at a remote temple, with a beautiful and meyenangkan, they pray while leisure, recreation, and gather together. Forgetting for a moment the daily activities during work. Location of the temple in Bali which are in the mountains, lakes, beaches, even in the cave, giving a distinct pleasure when praying toward the temple. Growing a high spiritual soul while recreation and vacation, so that the soul is quiet and family harmony will be awakened when praying and recreation. An offering that has been used a meal together for a family. The fine dining at eating together by family members. Eat together, eliminating hunger and thirst. The uniqueness of a family that is always done when praying. So pray not only to draw closer to God, as well as to establish a higher kinship between families.